Corris Railway 0-4-2ST No.7 waits in the rain at Maespoeth to form the next train back to Corris on 3 June 2012. Directly behind it is one of the line's original locomotives - No. 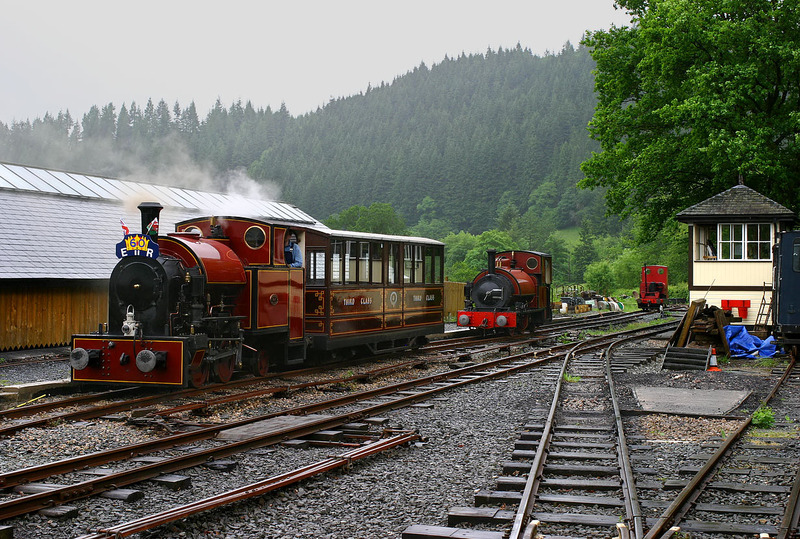 3 Sir Haydn, which is on loan from the Talyllyn Railway, its adopted home since the 1950s.